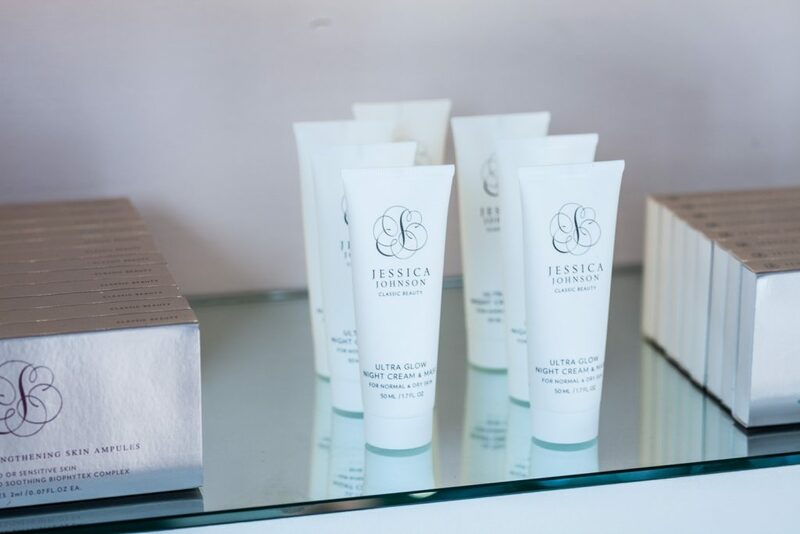 “At the end of the day, you don’t really need a lot for your skin to look its best,” says Jessica Johnson, owner of Jessica Johnson Beauty in Portland. While the beauty industry has become overcrowded and noisy, Johnson advocates simplicity: wear sunscreen, keep your skin clean and hydrated, and lose the crowd of beauty products taking over your bathroom. Skin care doesn’t need to break the bank—but that doesn’t mean a visit to the spa for a facial or brow styling can’t still feel totally indulgent. It’s a balance Johnson has mastered. And Johnson’s brand is building. 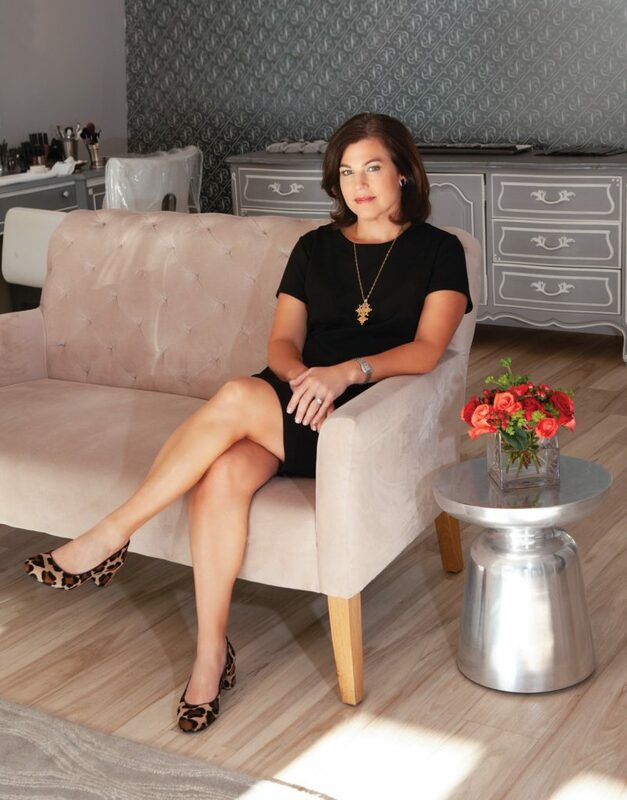 The Middle Street spa has grown from its original iteration as a brow studio, which Johnson first opened in 2014. It was a venture she wasn’t sure would work in Portland. 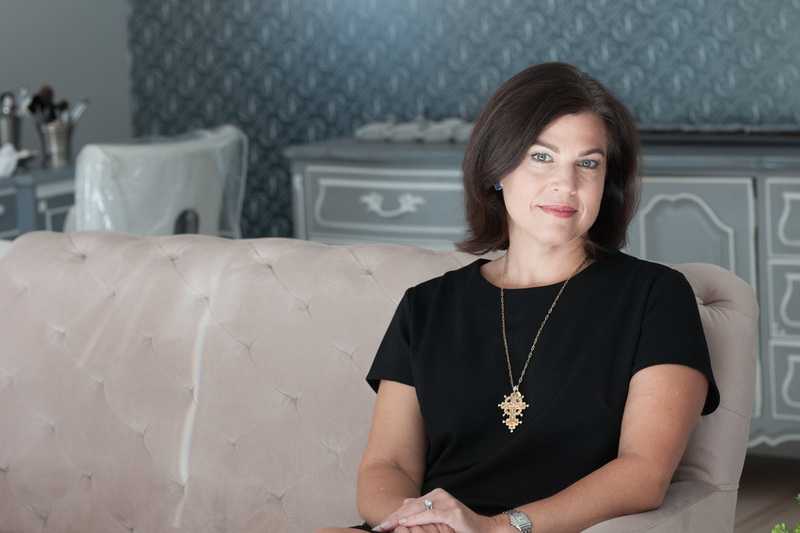 When Johnson first moved to Maine from California, she noticed there wasn’t a place in Portland dedicated to brows—and she wasn’t sure if locals would be interested in her services. “I didn’t know if women were going to pay for that kind of treatment here,” she says. But four years and many clients later, her company is growing. 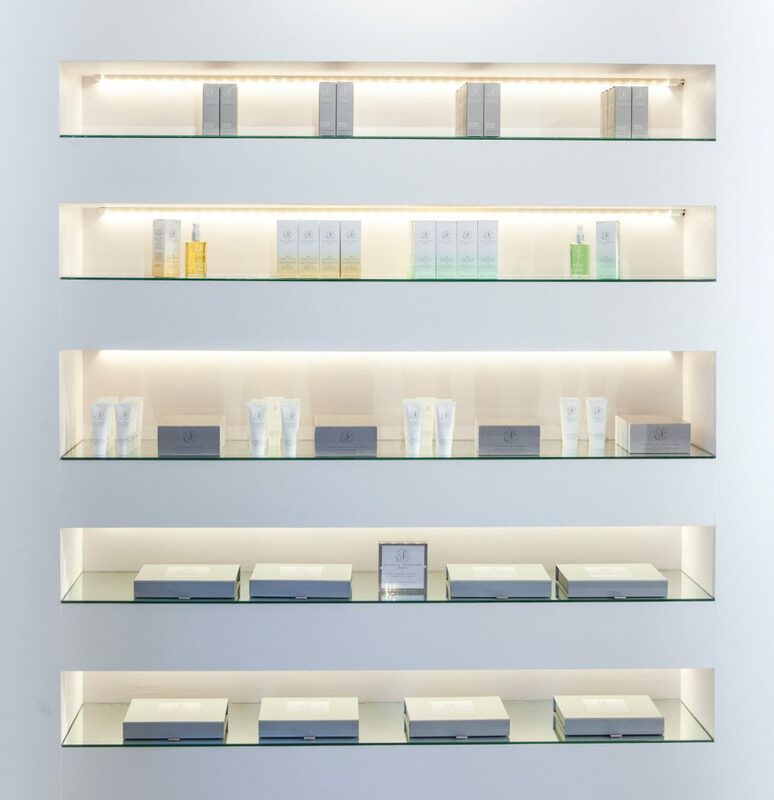 Johnson has also created a small line of skin care products—including the T3 Hydro Active Spray Serum and Ultra Glow Night Cream & Mask—to provide women with a “simpler, saner” skin care regimen. That side of the business is seeing growth, too. Both the facial spa and the product line are a culmination of 30 years working in the skin care and beauty industry. 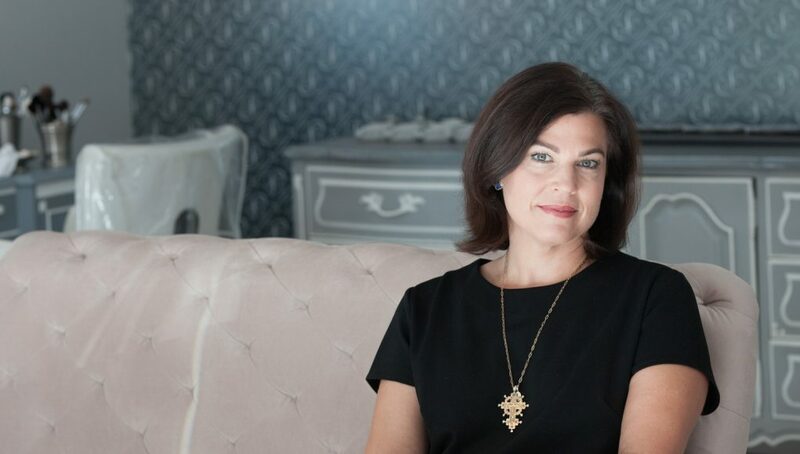 Johnson got her start in 1986 while working as a makeup artist for Lancome to pay her way through college, earning her undergraduate degree in women’s studies and English. She then spent time in Europe, studying advanced skin care and learning about oil cleansing—using oil to cleanse the skin as opposed to most facial cleansers, which actually strip away the skin’s natural oils. Women often shy away from using oils on their face, believing they will clog pores and cause breakouts, but that’s not the case, says Johnson. Oil cleansing takes the place of using a makeup remover, face wash and moisturizer, meaning fewer products are needed. “The less we put on our face, the more it self-regulates,” she says. She was so taken with the idea, she eventually created her own face oil—3N1 Hybrid Face Oil—which is part of her current skin care line. But her big lightbulb moment came while cleaning out her house after reading “The Life-Changing Magic of Tidying Up,” by Marie Kondō. The book offers guidance for simplifying and organizing your home, and Johnson put the method into practice in her own house, including the bathroom, where she tossed out all of her extra products and bottles that were just taking up space in her cabinets. The cleaned up space changed the way she felt—and looked. “I looked better because I felt better after decluttering,” she says. The experience gave her the push to develop her own simplified line of skin care products. Women don’t need to be overwhelmed with feeling like they need every product on the market. “We are making this harder than it needs to be,” Johnson says. Women should use a sunscreen, cleanse their skin, keep it hydrated and exfoliate. Simple. It’s the same mantra at the facial spa. “We offer a 30-minute facial and we do brows,” she say. “That’s all you need.” Skin treatments are “quick and affordable,” with a goal of having clients visit once a month so they can truly reap the benefits of getting a regular facial. These two products replace five (makeup remover, cleanser, toner, moisturizer, treatment serum) and allow you to have a five-minute beauty routine ($170). For longer, thicker brows and lashes ($110).